Be a hero. Get your vehicles back on the road quickly with our super swift parts delivery. We deliver up to 4 times a day, giving you unbeatable service to support your business. If you’re not in a local delivery area then we also offer a Guaranteed Next Day Delivery service throughout the UK and Ireland via our chosen carriers. Delivery charges apply on all Next day orders under £175, speak with our parts interpreters for more details. * Four times a day delivery service is to selected postcodes only, excluding Saturdays. Additional charges apply to Saturday deliveries. 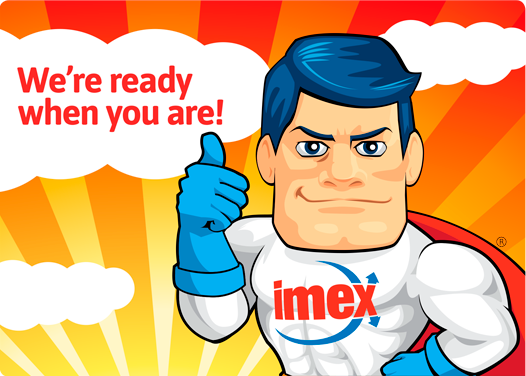 IMEX is constantly expanding its range and stock of parts – currently IMEX keeps more than 20,000 product lines in stock for all trucks – so those hard-to-find aftermarket parts aren’t hard to find any more; they’re a phone call away. Each of our depots carries a huge stock, so they’re not far away either, and if you want it right NOW, at our Castleford and Trafford Park branches it can be on the counter waiting for you to collect. You could even stop and have a brew with us. Call or email now and see what we can do for you. Our depots share a fleet of 45 delivery vans, each making up to four rounds a day – including Saturday mornings – so you’re not waiting around. If you’re off the beaten track, we can get your parts to you using a Guaranteed Next Day Delivery service throughout the UK and Ireland, and that’s free on orders over £175. For full details, speak to your IMEX parts advisor.